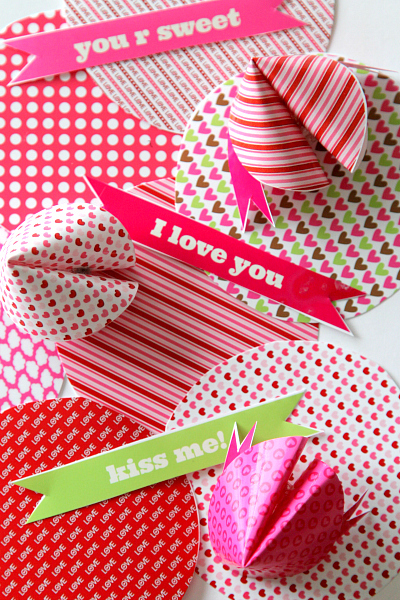 Home » Crafting » Fortune Cookie Printable: Free Valentines Day Fortunes! 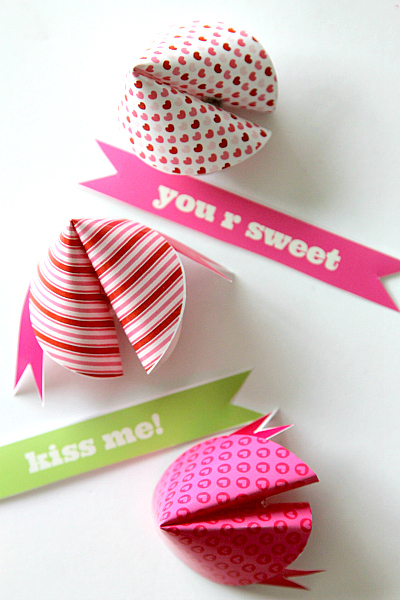 Fortune Cookie Printable: Free Valentines Day Fortunes! Paper Fortune cookies are a ton of fun! They are easy, can be adjusted for any holiday or topic and are great to give! Plus, they are pretty much craft novice proof. I created a super simple Valentines Day Fortune Cookie printable, complete with 14 circles in varying “love” patterns with 6 fortunes and 6 blank fortunes so you can write your own love notes! All you need to do is print on high quality paper with “best printing” and “fit to page”, then follow the instructions below to fold. 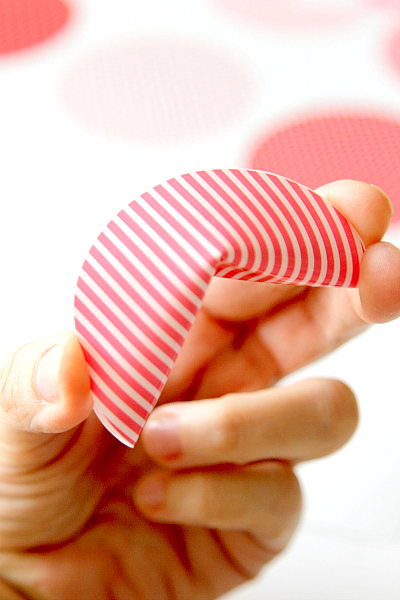 Now if you have ever folded a wonton, its kinda like that…but with paper. There are some tricks to it, so Ill see if I can explain. First things first- print the 3 sheets provided in a PDF here. 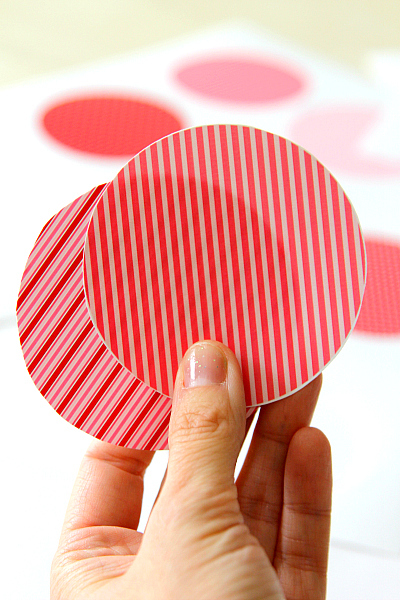 Once you have printed everything, cut out all your circles and fortunes. You can also take the time to fill out the blank fortunes as well. If you prefer to use the pre-made ones, just print the 3rd page of the printable twice. Now onto the folding.First fold the circle in half loosely and pinch just the middle of the circle. Usually I fold with my right hand by taking my middle finger and thumb on either side of the fur tune, while using my pointer finger to impress in the middle where you created the first crease. Unfortunately I also take pictures with my right hand, so I can only demonstrate how the fold takes place. In this picture imagine that you use a loose finger to indent in the middle and push it up. Take a glue dot or hot glue to secure. 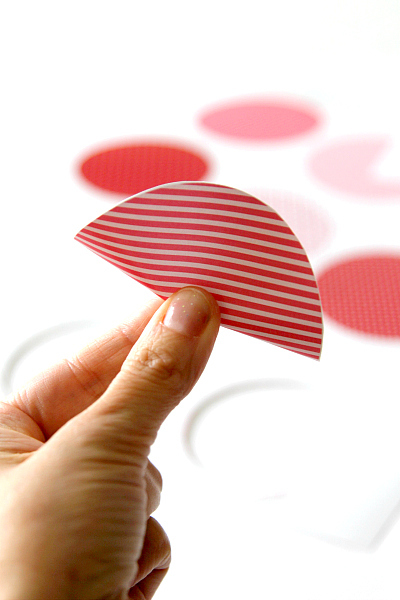 Do not be discouraged if you fold a few uneven ones. Part of it really depends on where you put that initial pinch. I got better as it as I went along. Also if your fortune is longer one side, just pull evenly on the other side. It should slip right into place. Did you make this craft and still have questions? Just ask me! 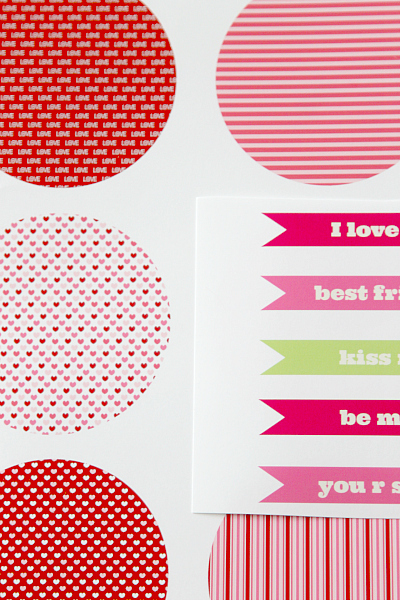 Also, if you missed out on this Hugs and Kisses printable, head there now. Love this? Share it! You can add to your pinterest board, share on facebook and tweet out by the easy buttons on the top and bottom of my post. You just gave me something else to add to my to do list. Thank you for this unique project, lots of possibilities for year round use..
It’s “you’re.” “You’re sweet.” Not “your.” Oh wait. I see. It’s “You R Sweet.” It looks like “your.” Maybe it should say “You Are Sweet.” Sigh. Cute idea though. 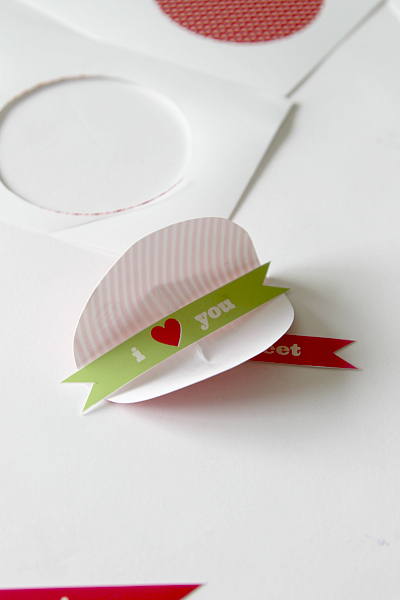 these printables are so cute!! How cute would these be in a bowl during a party?! I LOVE THESE! You could probably use them all year long, just use different colors. Stick a bunch with happy quotes, encouragement, or you know, just anything like that(even activities that you can choose for family night – the possibilities are really endless), into a jar and keep it around all year long. I’m going to do make some of these for our Friday Night Fun Nights! I am going to print some back to school ones and then different holiday downloads! These are so cute! I’m gonna head out and get some high quality paper so I can print and give!